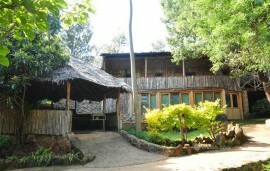 Kenmosa Resort and Conference Centre is located within Kenmosa Village estate on Kaptagat Road, Eldoret. 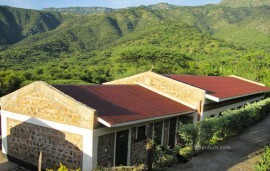 It is located 10 minutes drive from Eldoret town and 25 minutes drive from Eldoret International Airport. 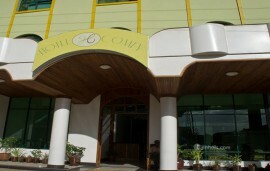 The resort has 18 large en-suite bedrooms and a luxurious executive suite. Half the rooms have king size beds while the other has twin beds. The rooms at Kenmosa Resort and Conference Centre have interconnecting doors making it possible for groups to have 2 bedroom units with the rooms located in cozy cottages surrounded by delightful mature gardens. Each room has a flat screen TV an armchair, a reading desk and a chair which all adds to the comfort of the room. 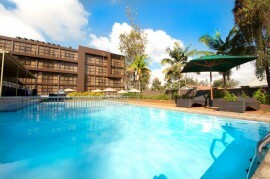 Further to that all the rooms at Kenmosa Resort and Conference Centre face the beautifully landscaped gardens. A spacious conference facility that can hold 100 people conference style is available at Kenmosa Resort and Conference Centre. The hall is ideal for parties, weddings, and team building. There is also high speed internet access and the resort ensures that your meeting goes on smoothly without any interruptions.